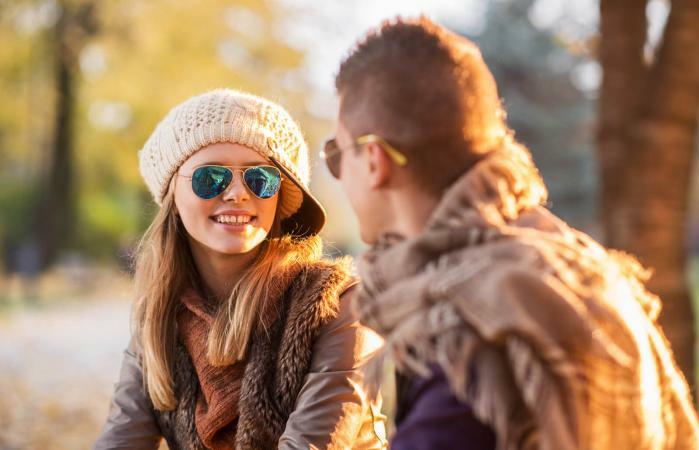 Since dating is nerve-wracking enough, a few first date ideas for teenagers can take some of the pressure off of being inventive on your own. Engaging in a bit of healthy physical activity is a great way to spend a first date. It forces you to use energy that would otherwise be spent either feeling tense about how things are going or feeling some sexual pressure that you know you should really keep well under wraps for some time. As you make your plans, remember that communication is key. Offer your date some choices of activity and let him or her decide on the course of action. The video game Dance Dance Revolution, known more commonly as DDR, is a lot of fun and a great way to spend a few hours with someone without being worried about what to say. Look around for a DDR party near you and be prepared to dance your socks off. It may seem an unexpected first date idea for teens, but if you both play a sport like tennis, racquetball or basketball, why not try playing together? Sometimes, a shared activity can be a way to learn more about someone from the get-go than a conversation where you're both trying to be at your best and most diplomatic. If someone is a poor sport when playing games, it's likely that same bad attitude will show up in other areas of life. This is a good thing to know early on about a person. If his/her attitude turns you off - at least you've gotten a workout in the process. If you set a particular path, like a short walk through a well-populated park, or an easy ride on a busy bike path, this can be a fun and relaxing way to begin to get to know each other. If at the end of the path you can see it's a road to nowhere, you can walk or ride on your separate ways. On the other hand, if things look promising, you can step it up. Maybe in a few dates, you'll do a walk-a-thon together. While a lot of artistic events are expensive, there are plenty that are cheap or even free, making this an excellent first date idea for teens. Since younger teens can't drive, these dates might be best for the 17-year-old and older crowd unless you've got parents willing to take you. 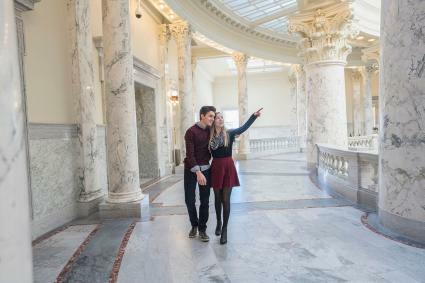 Whether a museum for art, science or something totally bizarre, making a date to view a particular exhibit can be a pleasant and stimulating way to break the ice. You know there will be plenty to talk about and you can have fun comparing and contrasting your tastes. Theatre, film, opera, concerts and dance are wonderful events to attend on dates. However, they're not necessarily the best choices for a first date. It means investing a lot of money and not getting much opportunity to chat. But if you hear of a short performance, or something as part of an outdoor festival, that can make for a lovely first date. Explore fun activities from decades past to give you both a unique bonding experience. You'll be learning something new together which can help give you things to talk about. Teens of all ages can participate in these wholesome activities. A staple of first date ideas for teens in the 1950s, bowling is still incredibly goofy fun. It's one of the few activities where the worse you are at it, the more fun it can be. This is also an excellent outing to bring another couple, or a few friends. Dating in pairs, especially in the teen years, really takes the pressure off. Parents like it too. The better bowling alleys will have video games and hot snacks, so it's a complete evening out with not a lot of money spent, but plenty of fun had. Plus, you all get to laugh at yourselves in the silly shoes. Hello, 1980s. This is another chance to get to know each other, enjoy each other's company, and avoid awkward silences. Be sure to bring a ton of quarters. This is not just considerate; it wins you a lot of points before you've even started to play. The 1990s were full of roller bladers, the cooler version of roller skating. Grab some blades and get skating in your neighborhood, at the skate park, or along a paved trail on the beach or in the woods. You'll get the chance to talk, have fun, and maybe even hold hands to keep your date steady. Since teens age fourteen and under have fewer job options, dating can be intimidating because of the costs. You don't need money to show your date a good time, just a little creativity and a good attitude can make any free or cheap date fun. After all, the whole point is to show off who you truly are. Invite your date to your house to raid the fridge and pantry for yummy snacks and drinks. Grab a blanket and walk to a nearby park or beach for a fun picnic. You'll get to know more about each other's favorite foods and work together to start off the date. Then you'll have a chance to talk privately without too much pressure because you'll also be eating. Using chalk and an empty driveway or empty parking lot you can create fun life-size games like Tic Tac Toe, Checkers, four-square, or hopscotch. You won't have to worry about transportation and the activity helps keep the date moving at a faster pace. When you're ready for a break, sit down and draw pictures with the chalk as you talk. Use technology to help you get closer by playing a multi-player game like Minecraft. You can each play on your own tablet or phone while you sit next to each other. Create new avatars and create a world for just the two of you. If you're someone who has trouble saying what you want to say to someone you like, this can be a fun and simple way to break the ice. Whether your parents don't like the idea of you dating or you feel more comfortable in a group setting, group dates can take off some of the pressure from a one-on-one date. 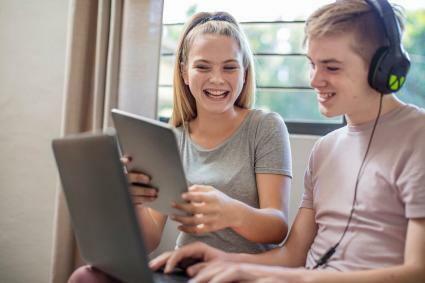 Teens over age sixteen or seventeen may get parental permission to travel further or stay out later if they're with a group while younger teens may only be allowed to date in a group setting. Escape room games are trendy new challenges made for groups of people. You usually need a minimum number of players to reserve a time for the escape room, so they're perfect for group dates. You'll all be locked in a room together and have to cooperate in solving puzzles to get out. A high stakes date like this gives you a chance to learn more about each other's personalities as you interact with different people. Grab some friends, art supplies, and an instructional Youtube video to create cute couples' paintings. Each couple should sit next to each other and try to complete their half of the painting while communicating with their partner. You could do this alone as a couple, but it's more fun with a crowd and helps everyone feel less self-conscious about their artistic skills. Whatever you end up doing on your first date, remember to have fun, be considerate and open-minded. These things will be remembered long after the activity itself is forgotten.